It was a relatively busy time on the Android update beat this week. Pixel and Nexus phones got some bug fixes, while a couple of more watches finally get the long-promised Android Wear 2.0 update. Let’s dive in to everything that has rolled through the update pipeline. 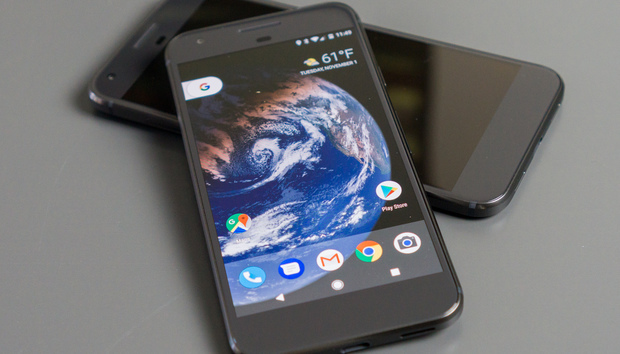 Pixel, XL, C, Nexus 6P, 5X, and Player: Android 7.1.2 started flowing out this week to several of Google’s latest devices. According to an announcement on the official Pixel User Community forum, you’ll see improved fingerprint swipe performance, Bluetooth connectivity, and battery usage alerts. Additionally, this update fixes an early shutdown issue on the Pixel, a pink banding on the camera with some models, and addresses an audio popping issue others experienced when listening at a high volume. Additionally, there are some interface changes to the Pixel C. The Pixel launcher has finally arrived, and there’s an improved multitasking interface. The Nexus 6P, 5X, and Player also get bug fixes and the latest security patch. The 6P and 5X also gain swipe capabilities for the fingerprint sensor. It’s doing the usual staggered rollout, or you can download it directly from Google. LG Watch R, Watch Urbane: You no longer need to be jealous of the LG Watch Sport and Watch Style. Android Wear 2.0 is on the way to LG’s current watches, according to reader reports to Android Police. Android Wear 2.0 has hit several watches in the last couple of weeks, but some holdouts like the Moto 360 second generation and Huawei Watch remain. Galaxy Note 5: Sprint is now delivering Nougat to your non-combustible Note. Be on the lookout for an over-the-air update that delivers all those neat features of Android Nougat. Galaxy S6 Edge+: The Nougat rollout is hitting this phone from the Samsung family as well. Just as with the Note 5, Sprint’s support page doesn’t list the update yet. But several readers filed a screenshot to SamMobile as evidence. So if you have this phone, hit that update button. April update: Nougat had a solid month, according to Google’s own numbers. The two available versions of Nougat are now on 4.9 percent of active devices, which is a 2.1 percent gain over last month’s numbers. While it may seem like a small gain, it’s quite the jump given the comparatively small number of devices actually running Nougat. The other good news is that the other versions of Android have remained relatively flat or decreased their slices of the pie. Once the Galaxy S8 and S8+ hit the wild, expect to see another big bump for Nougat.